A massive snowstorm made seven victims in New York state on November 19 as another 3ft of snow is expected to hit parts of north-eastern US. Weather-related deaths were also reported in New Hampshire and Michigan. 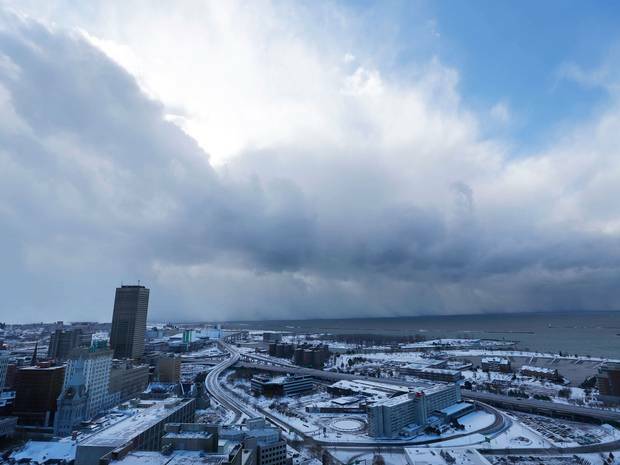 Parts of the city of Buffalo are already under 5ft of snow. New York Governor Andrew Cuomo called the snowstorm a “historic event”. Freezing temperatures have continued in many parts of the US, with heavy disruption to travel. Weather related deaths were also reported in New Hampshire and Michigan. More than 100 National Guard members were deployed in New York to assist in clearing roads and removing abandoned vehicles. The National Weather Service said some places could have topped the record for a single day of snowfall, which stands at 6ft 4in. Train services in parts of New York state were suspended on November 19, while long stretches of road near Buffalo were closed. About 20 people have died across the US since November 15. Three firefighters in Indiana were also injured when a trailer struck a fire truck on a snow-covered road.